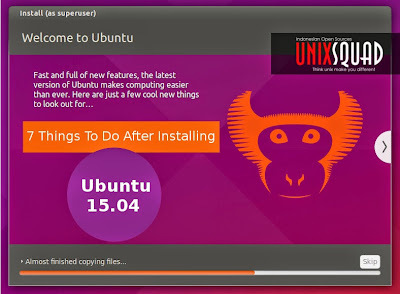 Top 7 Things To Do After Installing Ubuntu - I made this tutorial for beginners and covers some basic steps on what you should do after you've installed Ubuntu 15.04 "Vivid Vervet" Desktop version on your machine to customize the system and install basic programs for daily usage. You can dual boot: Linux and Windows by following our previous post Install Ubuntu Alongside Windows - With Complete Pics. First, you should to enable ubuntu extra repositories and update the system to keep up-to-date the system with last software updates and security patches. Open System Settings -> Software and Updates. Second is install additional drivers. To do this you can open from System Settings -> Software and Update -> Additional Drivers. Wait until finish scan for drivers. If some drivers found and match with your hardware, check the drivers you want install then hit Apply Changes to start install it. But, if drivers are not working as expected, you can uninstall them using Revert or check Do not use the device and Apply Changes. Synaptic is a Graphical utility for apt command line through which you can manage repositories or install, remove, search, upgrade and configure software packages. Gdebi has the same functionality for local .deb packages. We need this to improve sytem startup speed. Reveal hidden startup application by following command, open Startup Application and uncheck unnedeed applications during login process. Ubuntu comes with minimal suppor for media files. To play media files formats like music and video, here I write appilcation you can use : Audacious, VLC, QMMP, Smplayer, Handbrake, XBMC, Mixxx, Openshot. Beside of list application above. Probably you want to play a favorites music with linux terminal Play Music From Linux Console. 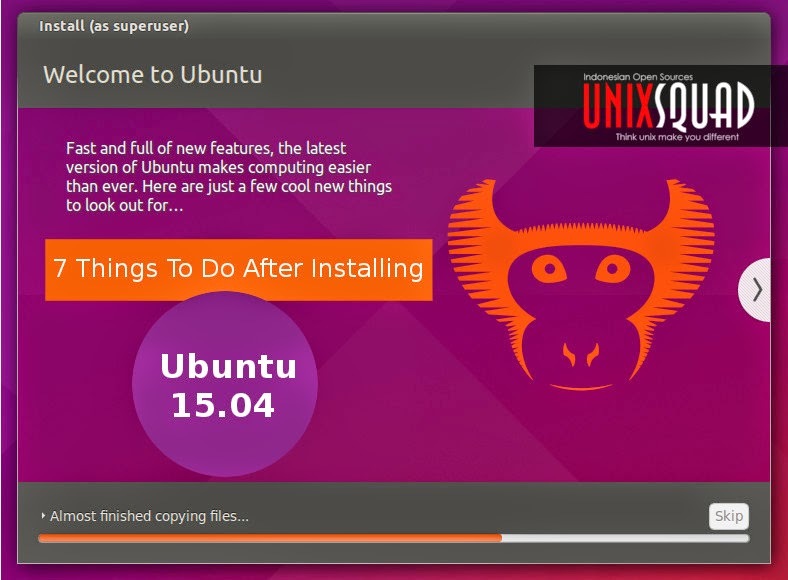 That's all I can write about 7 Things To Do After Installing Ubuntu 15.04 Desktop. Hope you've enjoyed reading this tutorial as much I’ve enjoyed writing it. Please comment with feedback to support us. Thanks for visiting us.